Hello, I’m Dr. Karen Kelsall and I started this clinic in 1997 to create a relaxing environment for chiropractic care, massage therapy, and other healing techniques. Come on in and I’ll show you around. With my background as an Olympic gymnast and dancer, and my associate, Dr. Weber’s background as an international wrestler, we know what it takes to strengthen and train the body to perform well and recover from injury. 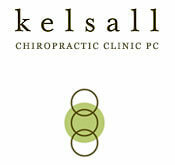 We treat athletes, seniors, working professionals, families, and anyone experiencing pain from an injury or accident. Our clinic services include manual chiropractic manipulation, as well as gentler techniques. Therapeutic exercises, deep tissue massage before each chiropractic adjustment, cold laser to reduce inflammation and facilitate tissue healing, Graston Technique to relieve scar tissue, Leander Table to facilitate joint opening and relaxation, and melt: a technique the hydrates fascia and reduces pain. Contact us today to setup an appointment for during which we can evaluate your spinal health. No matter where you are in life, your spine and nervous system are vital partners in keeping you active and in balance.